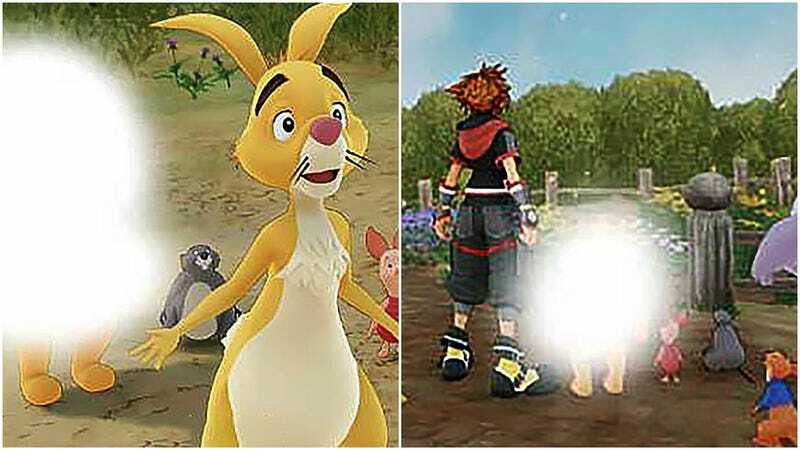 While many of us are still trying to process the recent news that Kingdom Hearts III has finally gone gold (I’m mean, a lot of us thought this day would NEVER come), another interesting piece of news has popped up regarding Square-Enix and Disney’s upcoming RPG. 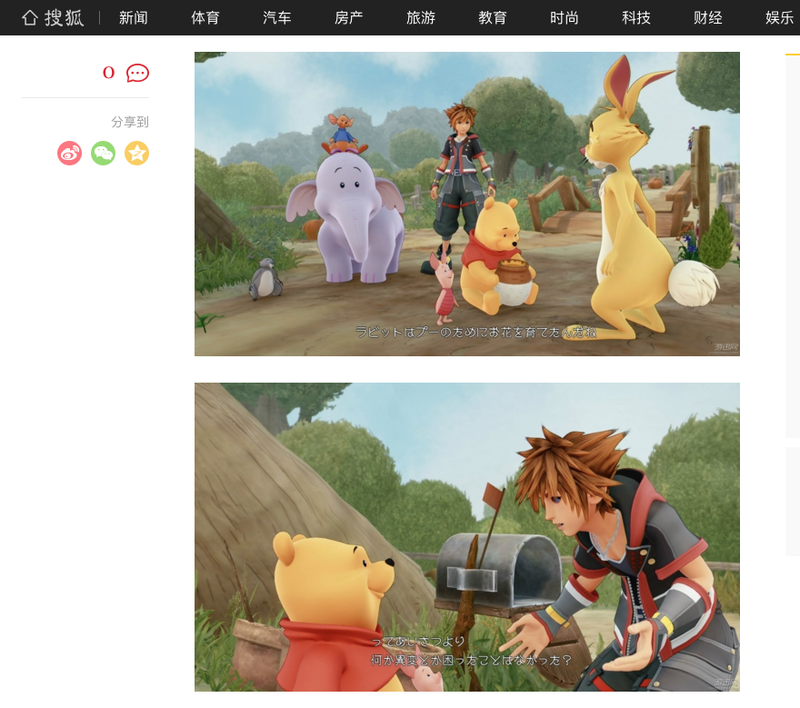 Recently, Chinese game site A9VG covered Kingdom Hearts III, there was a pretty noticeable omission in the story: Winnie the Pooh. Above, you can see a screenshot of A9VG‘s coverage posted on Weibo — i.e., China’s version of Twitter. According to Buzz Plus, found out that in order to get the story around Chinese government censors, the website opted to edit out good ol’ Pooh bear. Now, you’re asking yourself “why is Winnie the Pooh being censored in China,” and I have an pretty sad and funny answer for you. 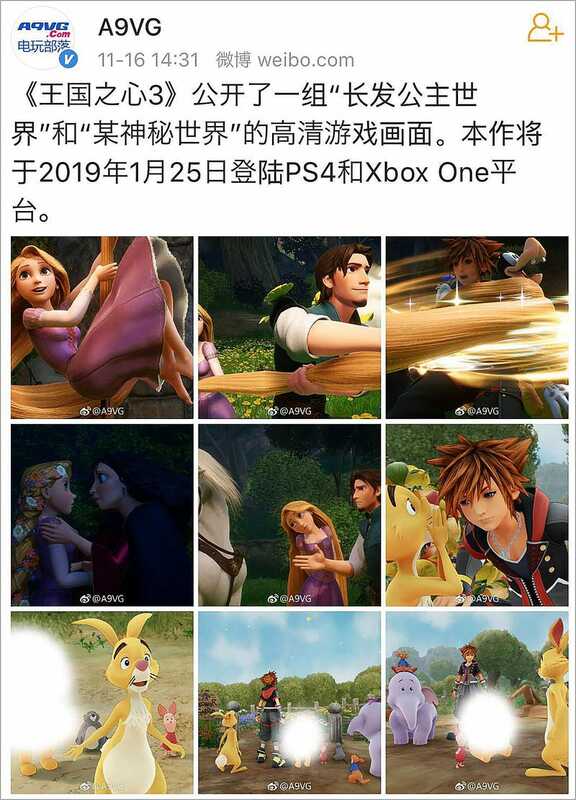 You see, Chinese leader Xi Jinping has been contantly and repeatedly compared to Winnie the Pooh on social media in the country, which resulted in a complete censorship and removal of the classic character on Chinese social media. This ban also reached film media, as the recent Winnie the Pooh-related film, Christopher Robin, was banned in Chinese theaters, even though, according to The Hollywood Reporter, no official reason was given because, well, it sounded silly. However, a source to THR did claim it was due to the Pooh comparisons to Xi Jinping. 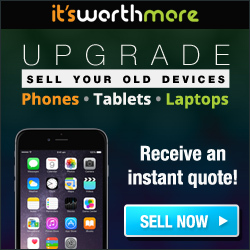 Previous Previous post: Wanna See Six Destroyed British Castles Rebuilt Digitally? Next Next post: Got A Library Card? Watch Some A24 Indie Movies ON THE HOUSE!